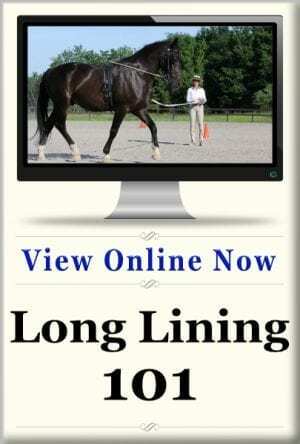 If you’re looking to advance your skills and communication with your horse, this lesson plan will be a great place to start! 9 exercises will help you develop a clear, reliable half halt. 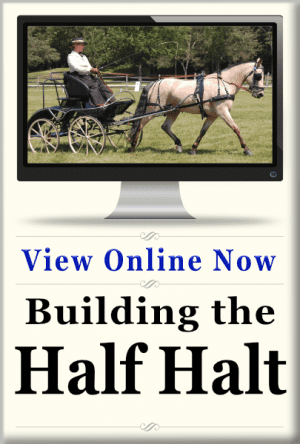 This lesson plan can be used for riding, carriage driving or long lining. A half halt is a critical tool for communicating with your horse. 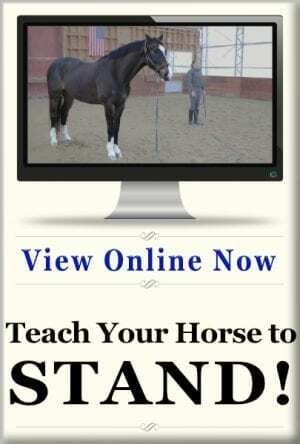 You may think that any horse will respond to a well-executed half halt, but it isn’t so simple. 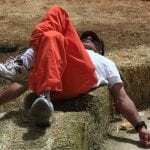 A half halt is something that is developed through cooperation between the equestrian and the horse. 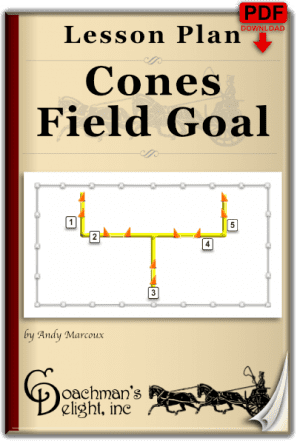 This lesson plan takes you step by step through developing a half halt that is reliable and effective for use in any discipline. 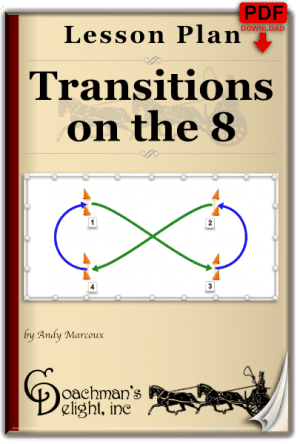 This lesson plan can be driven, ridden, or worked with the horse on long lines. 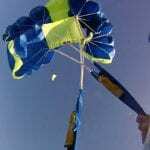 Nine exercises bring you from introducing the skill to confirming the half halt as an effective communication aid. 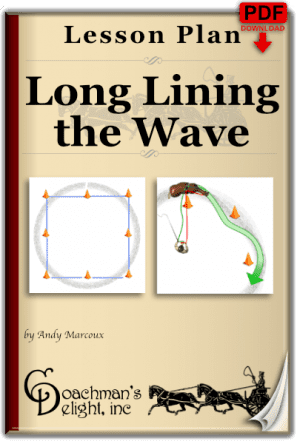 When you’ve mastered this lesson plan you’ll be able to use it as an effective warm-up for further skill building in every other area of your driving or riding. 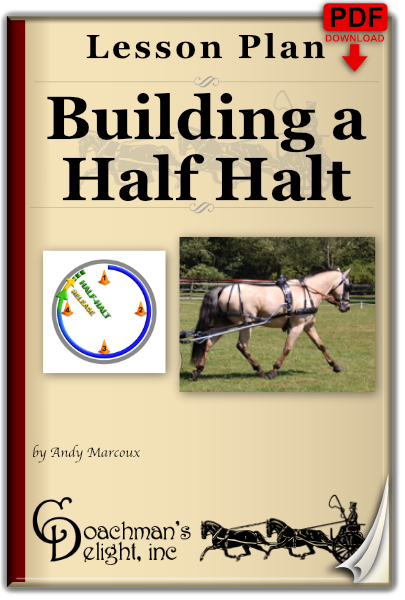 This lesson plan is covered in detail in my On Demand class “Building a Half Halt”. I came across this lesson plan via one of my driving friends. 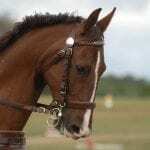 I am a dressage rider & teacher. 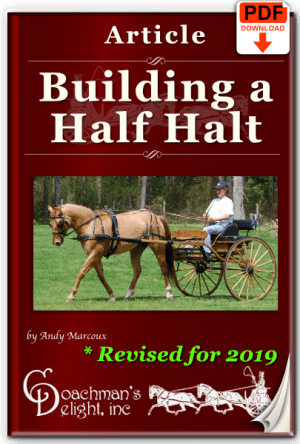 I can tell you that this lesson plan is probably the best explanation of how to create and use a half halt that I’ve seen. 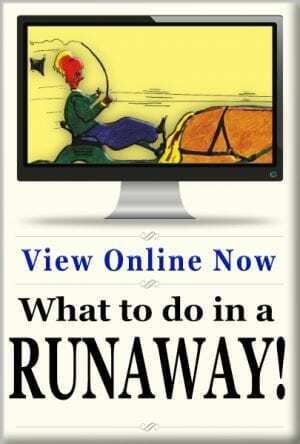 It’s great to see such a well thought out, easy lesson plan that really anyone can use.